I didn't get out much this week. 50% off sale weeks keep me home, plus the boyfriend was off a couple days & I only get to see him 2-3 days a week so we had dinner at home, I'm not too good with the heat, so that's kept me indoors, too. A couple quality finds to show off this week that I'm really proud of. What do you think? 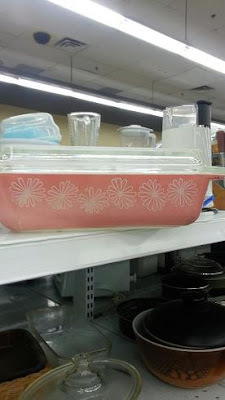 I welcome a new pink daisy piece of Pyrex into my home. Now I have 3. 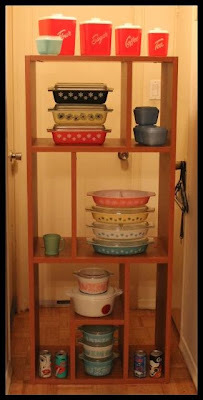 I just need to get my hands on a space saver - my favourite size of Pyrex. I like the fact that I can ship stuff to my cousins house in Ohio. 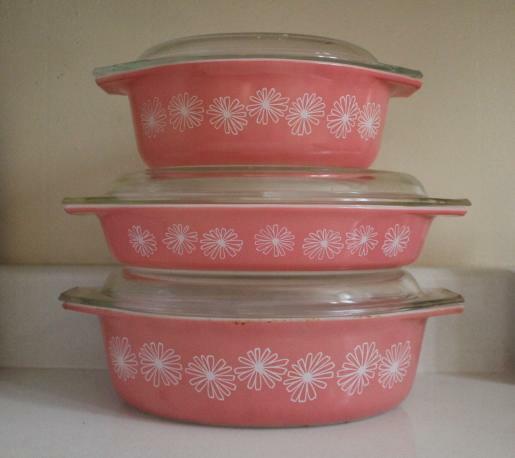 I got two pink fridgies, shipping included, mint condition for the same price that they were charging for one, not in mint condition in an antique market. My Jadeite bowl is awaiting my arrive for just over $10 shipping included, came from the next major city over. I've decided that the 401's are perfect size. 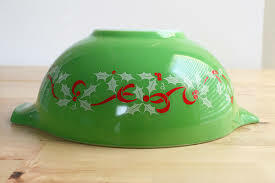 We'll be dumping our Ikea bowls in exchange for 4 matching 401's. 1986 Transformers TV tray in the same thrift I picked up the Transformers flat sheet a couple weeks ago. Funny how that works. I also picked up this new used vintage printed linens, made in Hungary. There is one in green & one in red. They are all about liquor. Saturday boredom can really get to a person. Saw a list on Dose.ca, Top 10 school-themed music videos of all time, which stars Katy Perry, Willow Smith, Brits, Beyonce, Gwen Stefani, Taylor Swift... now these may be good, but of all time? Anyways, complied my own list. This list may not be of all time, but it comes pretty damn close... they are in no particular order. Honorable mentions are accepted below! #10. 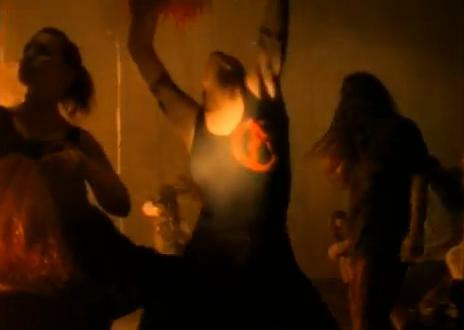 Nirvana - Smells like Teen Spirit (watch it). #09. Wheatus - Teenage Dirtbag (watch it). #08. 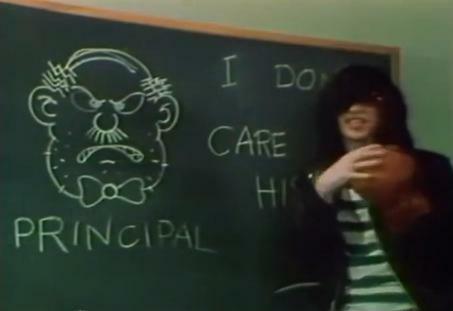 The Ramones - Rock N' Roll High School (watch it). #07. 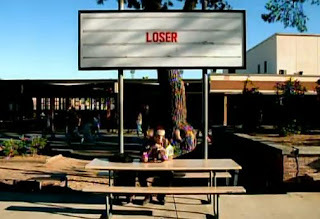 Nada Surf - Popular (watch it). #06. 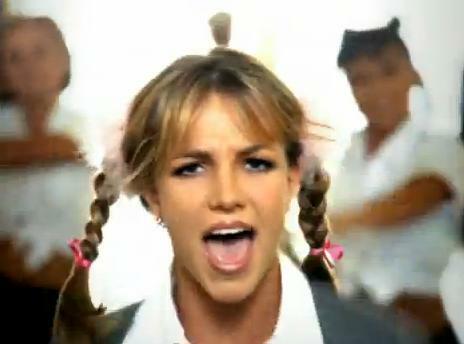 Britney Spears - Baby One More Time (watch it). #05. Lil' Mama - Lip Gloss (watch it). What better way for a girl to go back to school than her mothers lucky gloss? #04. 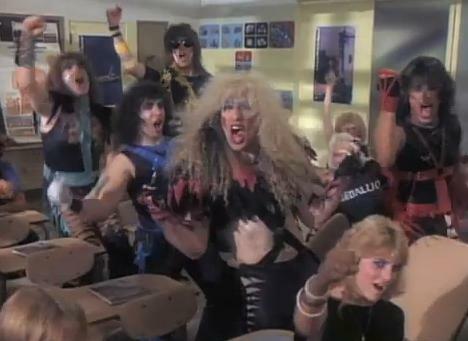 Twisted Sister - I Wanna Rock (watch it). #03. Deftones - Back to School (watch it). #02. J Geils Band - Centrefold (watch it). #01. 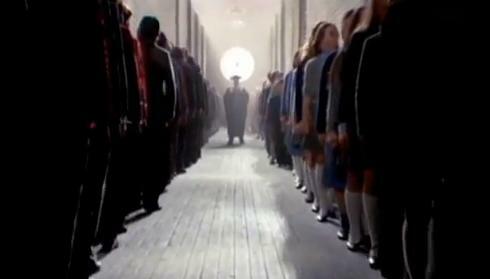 Pink Floyd - Another Brick In The Wall (watch it). My boyfriend went to wash his car & his friends motorcycle & this made in Denmark shelf was next to the dumpster. Now resides inside the home as a door blockade for the dog when we leave. I put some of my favourite items on it for the picture. What I Didn't Buy At The Thrift Store.. 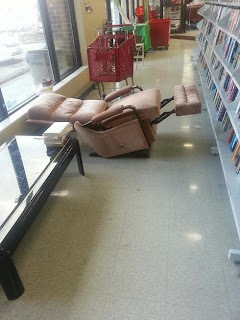 I did the aisle lunge for this one. I imagine any other collectors out there who might have seen it did the same, but ❤ sunk when I saw the damage done. Too faded, too scratched to welcome into. Too expensive to buy just for the lid. At least I got a pic of it. I bet it made someone out there happy because I didn't see it on my next visit! 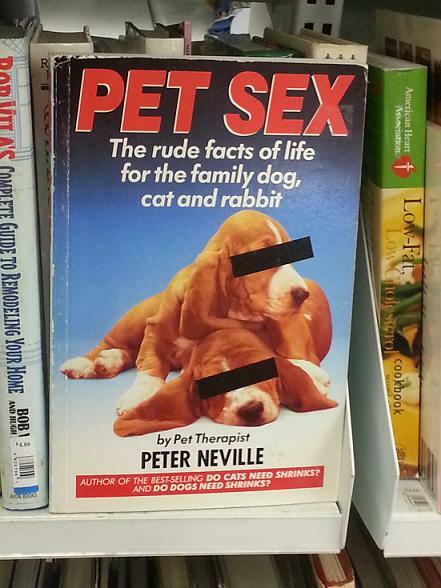 I didn't inquire past the cover. 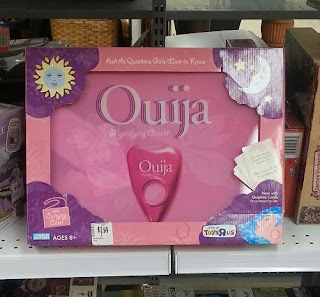 When I was young, the Ouija board was taboo. 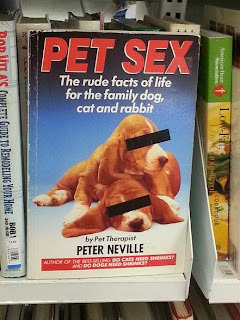 I wasn't allowed to have one (now I have two, probably only because I wasn't allowed to have one) & got yelled at when I asked, grandma shuddered & got angry whenever she saw one in the store, people didn't want anything to do with them, they didn't want them in their house. Now they are done up all cute & pink being marketed by Toys R Us towards little girls? Very strange. Good price, though. 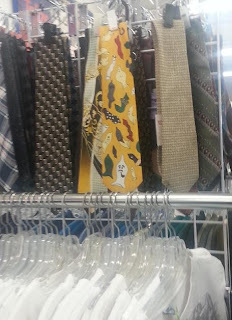 "Ask the Questions Girl's Want to Know"
I only wear ties for interviews & weddings & stuff, but I look at them to look for a certain tie that I have been searching for that I once seen priced at $35. I had a laugh to myself at this one. Condoms! 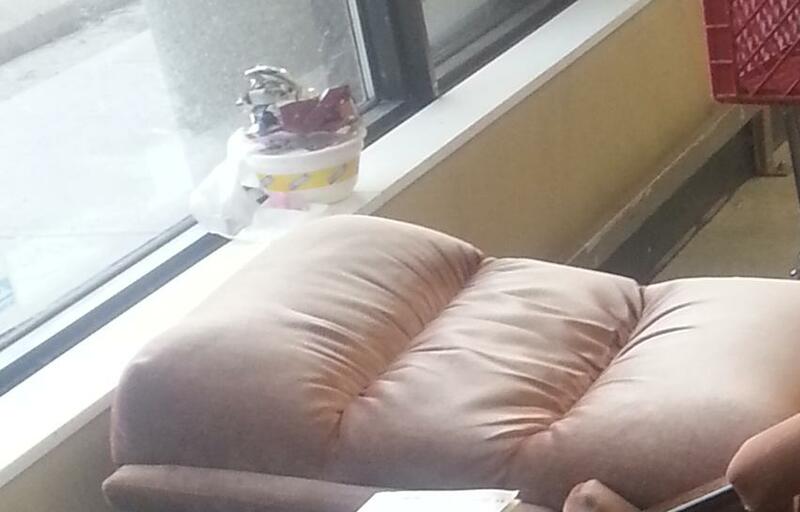 Also laughed at this... the reclined rocking chair, pile of books & pile of food wrappers. Looks like someone had a nice relaxing day at the thrift! Earlier in the summer (first week of July, I think...) I was gifted an amazing little package from Erica at Golden Egg Vintage. 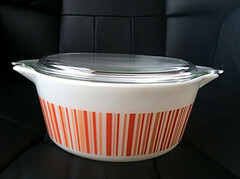 It came packed with two Pyrex lime green 8oz pieces that I bought from here ever popular Market Mondays. The good news is, the package made it. The bad news is.. the tea cup that goes with the the saucer in the first picture smashed to pieces on route - I've been keeping my eyes peeled for a replacement, but no dice. I adore the Christmas items. The Santa has a sticker on the bottom, Japan & originally 15cents. The lollipops are my favourite. If anybody is ever selling any... you know where to go first. I can't wait to display these come December. Hello fellow thrifters, hope everybody has had a good week. I picked up a few items, didn't do very well considering I went into 13 thrift stores this week & 2 antique markets, but I guess you win some you lose some. Although it's silly, I can't help be bothered by it. I did get a lot of compliments on this set of cards, if any other card collectors are interested in trading for them, please send me an email (my contact is in my profile). I am open to other trades besides cards - just take a look around my blog, see what my interests are. Picked up a few more items in the card area, two vintage die-cut Valentines, one mechanical (clown) & the other is dated 1945. They were $1 for the lot. Some cat woman invitations from 1991 & some Cards by Kay & one lone Rust Craft. These Pac-Man magnets are pretty neat. I believe they are from the cartoon show... that would make them not so common. I will admit it. Growing up, I was a HUUUUUGE Marilyn Manson fan. Not the biggest I've ever met (one guy had 20+ Marilyn Manson tattoos & met the band one day & they all signed his body & he got it tattooed the next day). 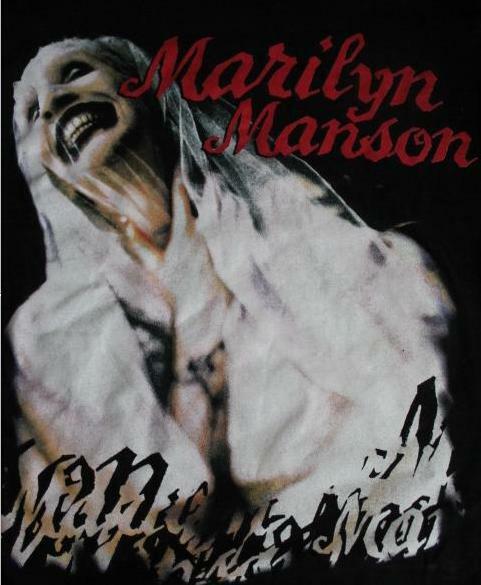 I had always wanted this particular shirt, made during Manson's height of popularity, but could never find it.. this was back before I had the internet. Well, unworn. Lucky, I guess. I always find it weird that there is always just one band shirt out of like 400 shirts. Or one vintage shirt. 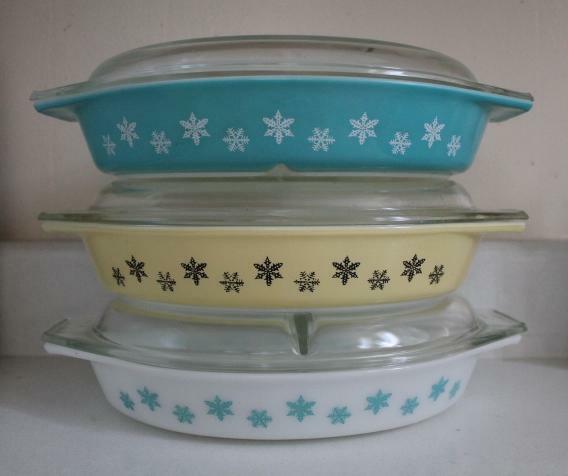 Some Snowflake Pyrex (the bottom one, JAJ). The black space saver, some Toronto shoppers may have seen it, but I couldn't pass it up for a couple bucks & the metal lid. I've coveted one of those metal lids for some reason for awhile & it would work perfectly for display mode, too! One my way to completing.. got the black, was just put away. I don't collect Coca-Cola stuff really, just these really neat cans.. I guess they are from the 1980's? I got two more (the ones in the middle). I'm very excited. There are still more out there to complete my collection. This is just a hilarious piece of 1990's nostalgia for me (hopefully you too!). 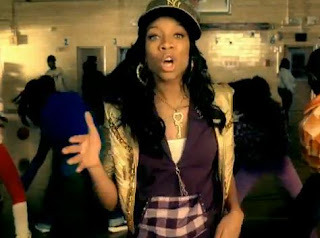 Remember these bracelets? The rings (which were rarer?). I bought a bag of junk for $2 & this was unknowingly in there. I am currently teasing my boyfriend with it. That's it for me, can't wait to see what you've dug up this week! Hey fellow shoppers! Hope everybody has had a fun, thrift filled week. I was out this week... just *shocked* at the number of dealers out there now. Certain stores that used to provide me with a bounty of beautiful goods now have a growing number of campers in the aisles attacking the bins like savages as soon as they are rolled out. It grosses me out. 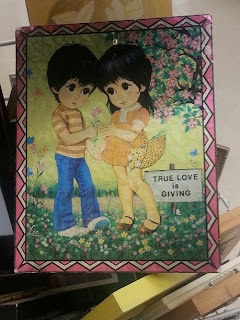 It's depressing that this is how you have to act in order to score some of the items I collect inside a thrift shop. I did get lucky with a couple Pyrex finds this week (the above Snowflake divided was from weeks ago). They were scored at a shop without any campers (that day). 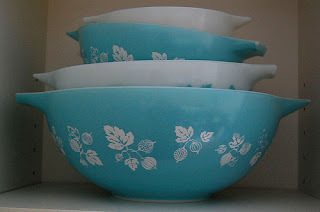 The only other turquoise I have in the 400 series is another 401 - still working up to a full set. 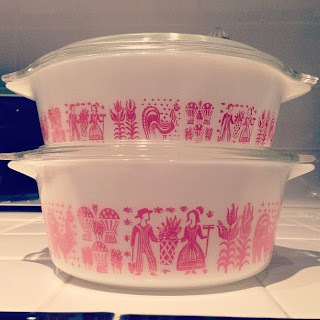 I picked up some pretty good linens this week! 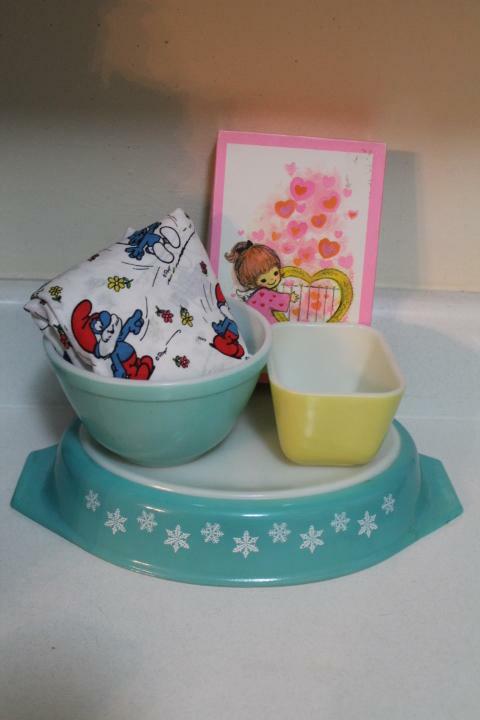 About a yard & a little bit of 1980's Smurf fabric, 99cents... Transformers flat sheet from 1984 & a Pampers towel. I bought the Pampers towel mostly for it's nostalgic purpose, but I'll never underestimate it's intended purpose. 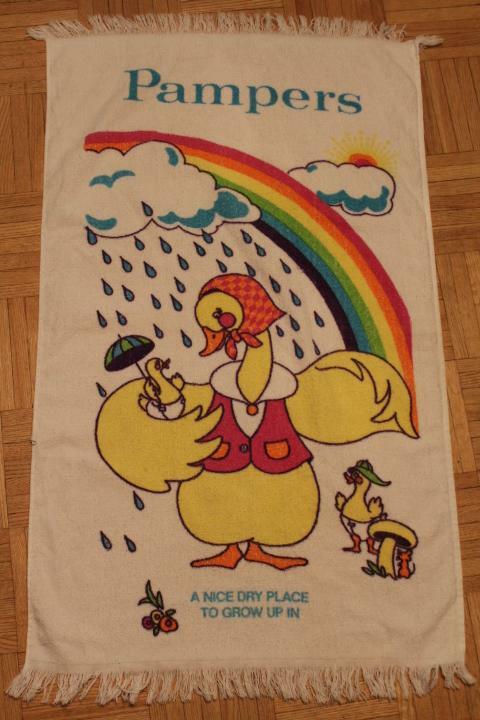 I believe the towel is from the 1980's, probably a promotional item. I had this towel as a baby. I love this Christmas table runner... is it vintage? The tag identifies it as made in W. Europe & the cleaning instructions are printed in German. A couple smalls... 1991 DC Comics Batman ruler, eraser, sharpener & pencil case.. I kinda have a small pencil case collection (surprise!). A Teenage Mutant Ninja Turtles paper table cloth.. original price, $5.79. Back in the day, wouldn't that be kinda pricey? A full set of vintage Valentines Day cards. Well, I have a few more items.. but still got some cleaning up to do, trying to get some sanity in this household, so until next week! 2. 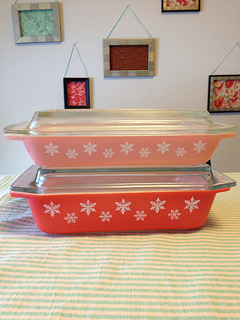 Pink Snowflake Space Saver. I guess JAJ? A favourtie size of mine. I already have the one on the bottom. 4. 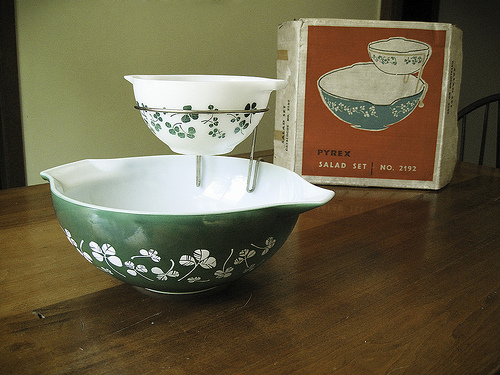 Often mistakenly called a chip & dip, the Shamrock salad set. 5. Since already have the largest size, just need the 2 above to complete the pink Butterprint. The BF's grandfather has the full set, in mint condition... but won't part. He's a hoarder! I saw the smallest in Columbus, but dishwashered & turning brown for $25! 6. Honorable mention while I was Googling images for this post.. I have never seen this colour of this pattern before. What are the most wanted patterns & pieces on your list? Anybody want to trade anything for these? haha. I have lots of Butterprint!! 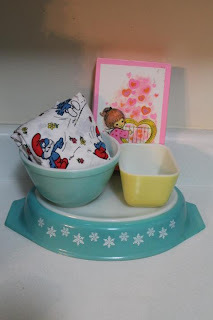 eBay Buy: Vintage Napkins & More!